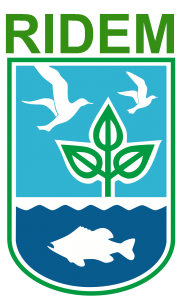 The Narragansett Bay Research Reserve is located in the heart of Narragansett Bay on four islands: Prudence, Patience, Hope and Dyer; it protects and manages approximately 4,400 acres of land and water. Habitats within the Reserve include salt marsh, eelgrass beds, rocky intertidal zone, pine barren, deciduous forest and coastal meadow. 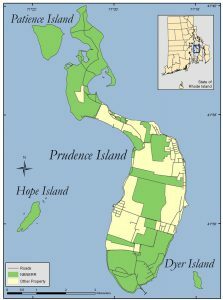 The majority of the Reserve’s work, including its headquarters, are based on Prudence Island, the largest of the four islands. The Reserve manages approximately 63% of Prudence Island as well as surrounding waters. For a greater understanding of the ecological importance and diversity found within the Reserve, click here to view our Ecological Site Profile. The Reserve is located in the Narragansett Bay Watershed which is comprised of 1,657 square miles. Sixty-one percent of the watershed is in Massachusetts and thirty-nine percent is in Rhode Island.